Infographics have been around since the mid 1600’s when they first appeared in the form of illustrations in Christopher Scheiners’ research about the rotation of the sun. Since then they have gained increasing popularity amongst social media users and business owners alike to create a visual representation of data. Information graphics reveal elaborate information clearly and fast and are found in maps, newspapers, signs, maps and education. All infographics start with a great idea or blog post. Something that will engage and interest the target audience. Keyword Research is typically done first to learn and better understand the market by finding what actual search terms are being entered into search engines for a particular topic. Once we have our topic we then begin having our in house writers do research to come up with a captivating article. Our design team then creates a visually iconic graphic illustration to represent the content. Sharing your content is as equally important as the design process and keyword research. 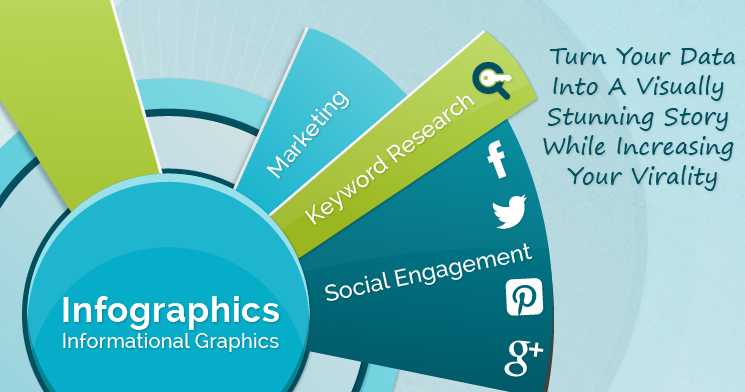 In as little as two years, infographics searches have increased by over 800% in Google. Due to their attractiveness, infographics can become one of your most powerful content marketing tools. Having the ability to publish and share an infographic that receives unique visits, backlinks, social media likes and shares will not only provide great traffic to your website but also will create a positive brand recognition as being a leader in your industry. Infographics are a great way to increase engagement and link ability. Turn your data into a visually stunning story while increasing virality. If you want your audience to quickly comprehend a conceptual layout or idea while also promoting and sharing on social markets, contact us at Maneuver Up Marketing where our skilled team of designers will work with you to create an engaging infographic.